The picture above shows an airstrip built in Liberia by some people from our church in partnership with Steppin Out Missions (see below). This allowed Samaritan's Purse to fly in needed supplies to the area. This is one of many stories from across the globe and in our communities where God allowed us to be a part of his mission to reach the lost and share the gospel. We desire to cultivate hearts for the lost and participate in God's plan to reach them. As a church we recognize that this requires us to introduce people to the work of missions and the needs of the mission field. As we seek to understand our sphere of influence locally and throughout the world, we want to partner with missionaries and send workers into the field. As much as our heart is for the nations, we want to be faithful in sharing the hope found only in Jesus Christ with those in our communities, workplaces, and homes. God has given us a variety of tangible ways to reach local people with the gospel. We have people that serve in our local jail, nursing homes, and other opportunities as they arise. One of the primary ways we are connected with mission work throughout the world is through supporting missionaries in prayer and financial assistance. We currently support missionaries serving in places such as Sri Lanka, Hong Kong, Japan, Italy, and Greece. Many people will not be called to serve God full-time in missions, but we want to support those who God has called, and Lord willing, send out those from our midst whom God does call. God has united the heart of a missions organization called Steppin Out Missions (SOM) with Alpine Bible Church. This partnership has provided us with a tangible connection to the mission field as we are connected with and a part of the their work. SOM has been one of the key ways God has used to foster a heart for missions in our church. SOM's purpose is to challenge believers within the local church with the biblical mandate to be actively involved in spreading the Gospel of Jesus Christ to a world in need. They accomplish this through specific projects based on the gifts and abilities of the SOM team. 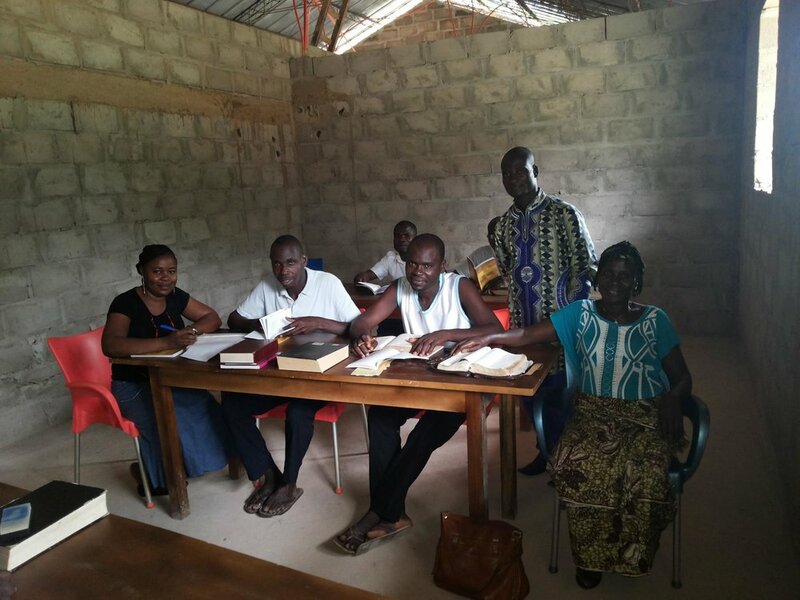 These projects range from building a Bible Training Center in West Africa, to refurbishing a home after a natural disaster, or construction projects for local ministries. 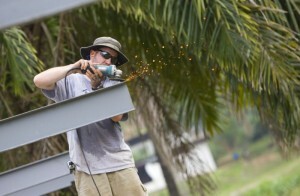 The goal of their projects is to strengthen Christ’s church and encourage believers to stay active in missions.